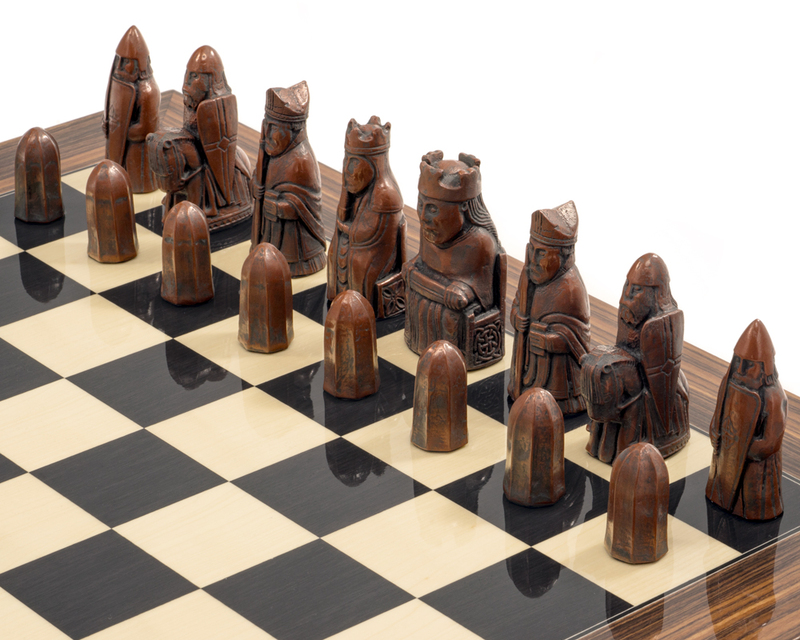 Includes Spanish Anegre & Palisander Board. Striking copper and pewter colouring. 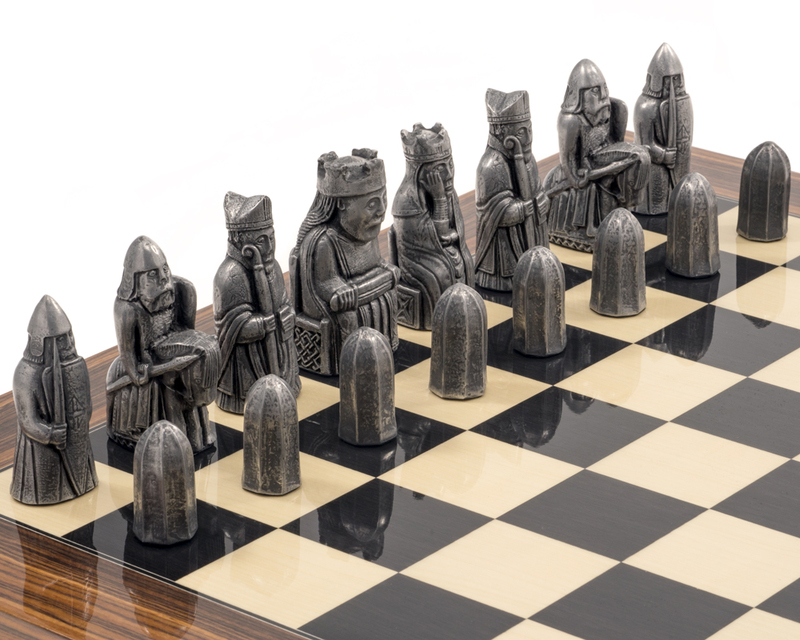 Featuring a unique pewter and copper finish, these beautiful resin pieces interpret the iconic Isle Of Lewis Chessmen into a gorgeous luxury set, complete with a Black Anegre & Palisander Board. 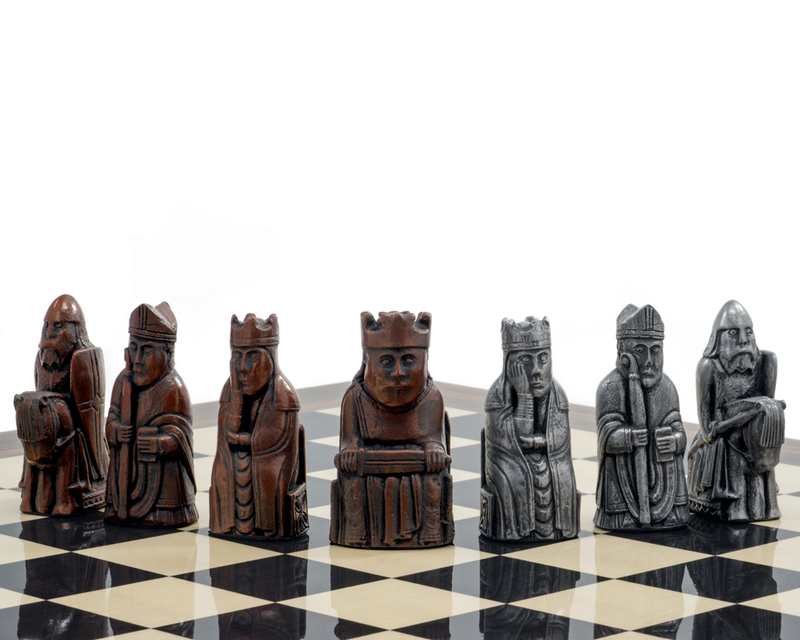 The enigmatic original chessmen were discovered in 1831 near Uig on the Isle Of Lewis, likely buried in a sand dune. 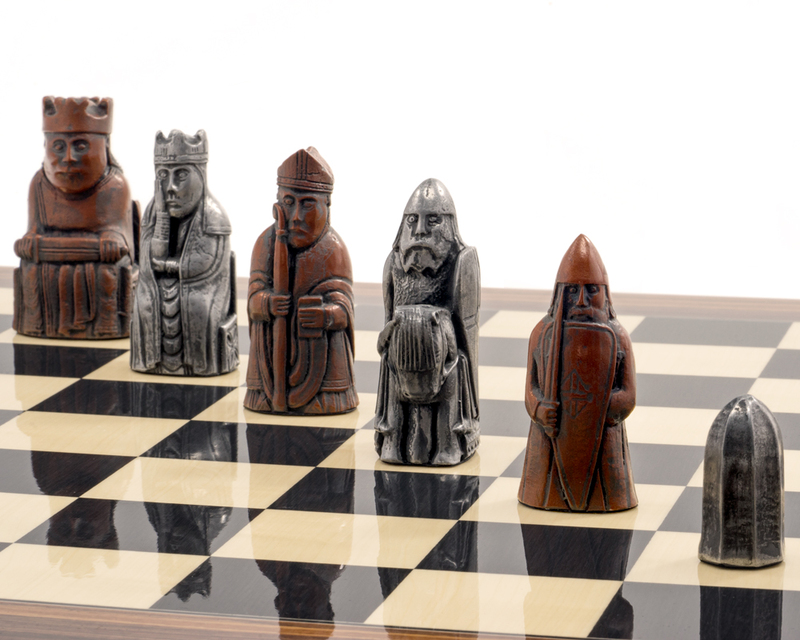 Their origins are uncertain, but historians believe that they were probably created in Trondheim, Norway around AD 1150-1200. 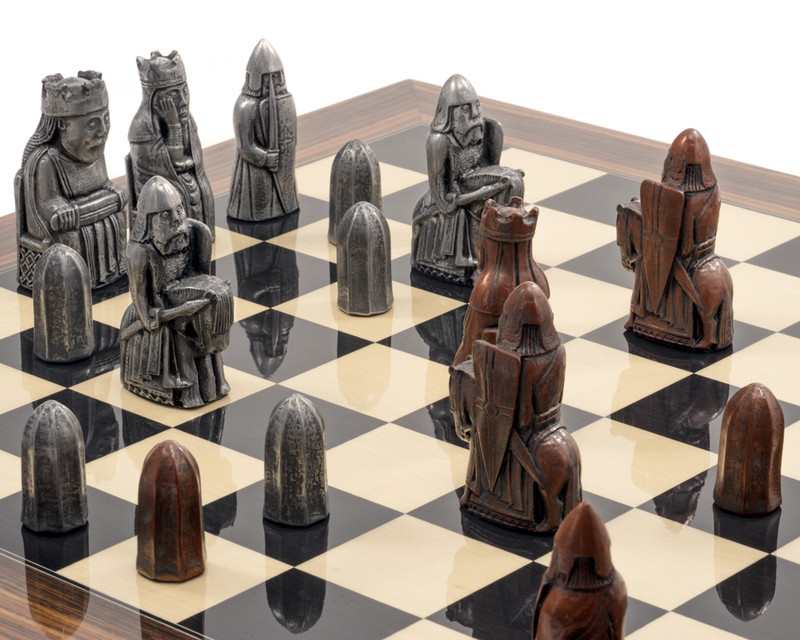 It was thought that they were intended for use in an antiquated game of some sort, although they are now generally accepted as being standard chess pieces. These exquisite pieces have been intricately sculpted in the UK from fine stone crushed resin, with a unique copper and pewter colouring. 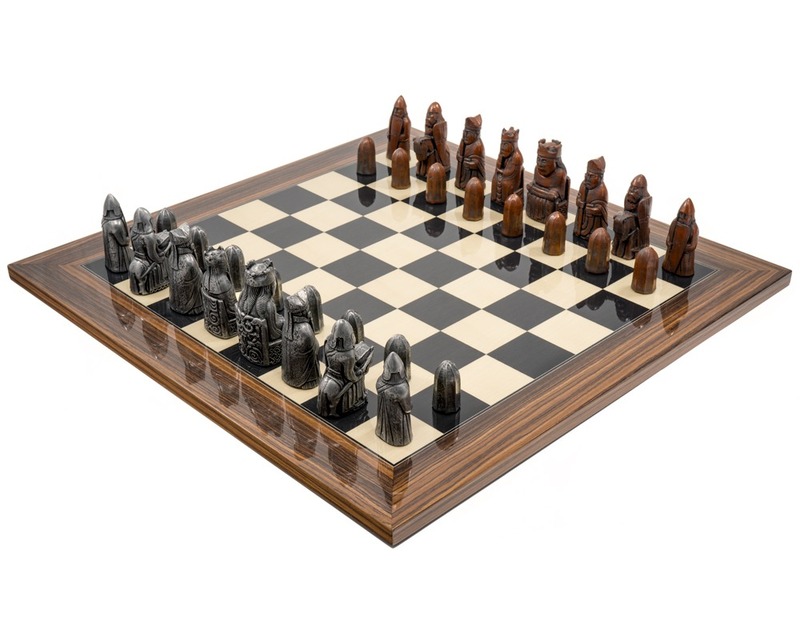 Paired with a wonderfully glossy Spanish-made Anegre & Palisander Board, it’s a wonderful gift for any history or chess enthusiast.